Dragon Boaters fighting for championship! The Punta Gorda Dragon Festival is coming up this Saturday, April 13th!! 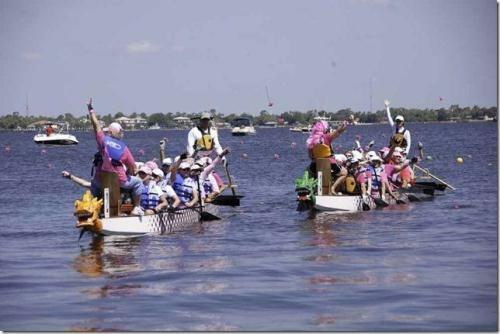 This race brings Dragon Paddlers from all over the state of Florida to compete on our fabulous waterfront! This is a team sport where 20 people paddle a 40 ft long dragon boat, racing each other for 400 meters (this is usually done in about 2 ½ minutes!). This fun event starts at 9am at Laishley Park in downtown Punta Gorda Florida. 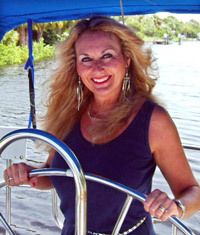 The participants not only get to compete, but are also aiding a charity right in the Punta Gorda Community. Come out and enjoy a great day on the beautiful Peace River! !